RCMP have confirmed both pilots onboard an Air Tindi plane missing since Wednesday morning are deceased. The Transportation Safety Board is investigating the site of the crash, between Behchoko and Whati. 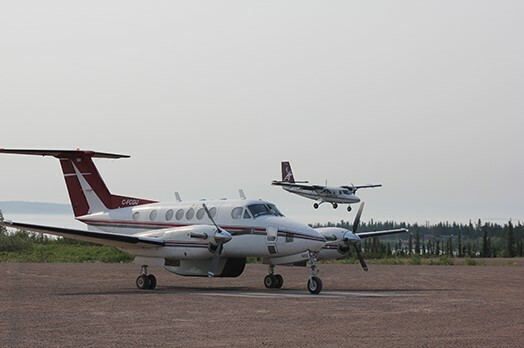 The King Air 200 plane carrying two pilots and no passengers lost contact with air traffic control Wednesday morning on a flight from Yellowknife to Whati. A rescue effort was organized by the Joint Rescue Coordination Centre Trenton, involving the RCMP’s G Division, the Canadian Rangers and Canadian Armed Forces. A Winnipeg-based CCC-130 Hercules aircraft was sent from Winnipeg to aid ground crews. Rescuers worked late into the night Wednesday to get to the site of the crash. They were hampered by difficult weather conditions, including deep snow.